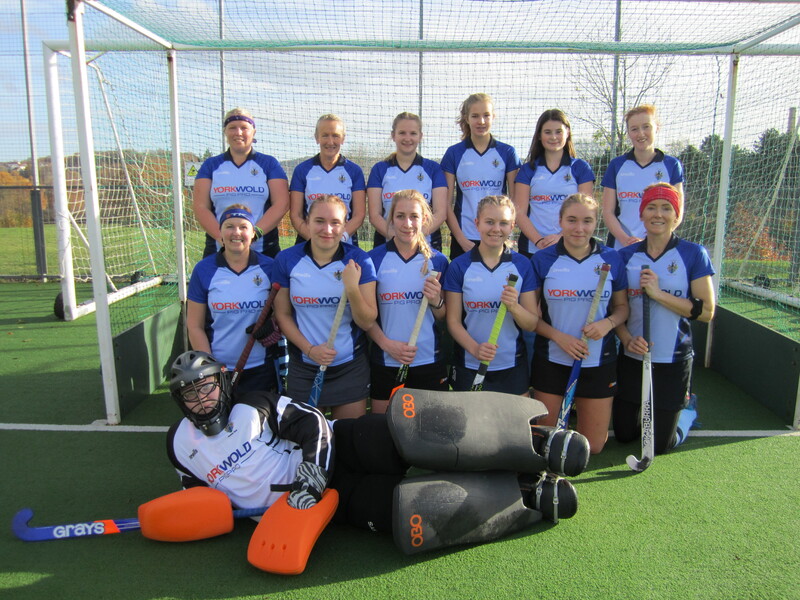 Building on their success last week the Driffield Ladies 2’s came out strong on Saturday beating their opponents, Northallerton 1’s, 1-0 despite the weather! The first half saw great tactical play from both teams with Driffield’s defensive line staying strong, not letting Northallerton get a look in. Our girls held their structure well and some fast passes and good communication across the pitch gave them several opportunities on goal. However, the ladies were out of luck and with Northallerton’s defence seemingly impenetrable the half time score was nil a piece. Half time team talk was high spirited and with sound words of advice from Captains Jenny Dawson and Charlotte Smith, plus a few Jelly Babies to help the energy levels, the girls stormed back onto the field with a neat roll out from Bry Sykes and a fast redistribution from Kiera Dinsdale-Young assisted Di Levitt in scoring a exemplary goal for Driffield in the first 3 minutes of the half. The girls pressed on and some phenomenal play through the midfield and the forwards allowed the girls a few more opportunities on goal but Northallerton’s defence maintained their strength with their keeper putting in some great saves. Northallerton were keen for the counter attack and kept the Driffield defence on their toes with Driffield conceding 5 short corners just in the second half. But, there was no worries for the Driffield team, goalkeeper Becks Lalor made save after save as Northallerton went for the straight strike and defenders Charlotte Smith, Helen Holdsworth, Sophie Watson and mags purnell expertly clearing the ball each time. Nearing the end of the second half the Driffield squad reformed defensively to ensure they maintained their lead though they were not tiring, 6 youngsters on the pitch and a full squad of 15 afforded the team fresh legs throughout. The final whistle blew with a score of 1-0 to the home team; a well deserved win. The girls were due to play Bridlington 1’s next week (Saturday 13th October), however, with Bridlington down on numbers they have conceded the match to Driffield. This gives the ladies a week off but they will be back playing twice as hard on Saturday 20th October when they will face Acomb 1’s at home, 12.30pb. (Wo)Man of the Match: Helen Holdsworth - Superb defensive play and fantastic redistribution of the ball to the midfield throughout the match.